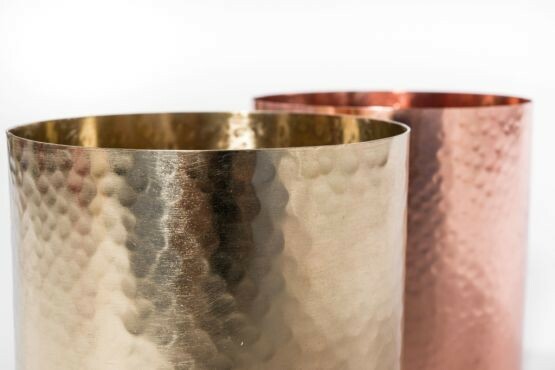 Pretty, hammered flower pots in matt copper and brass. 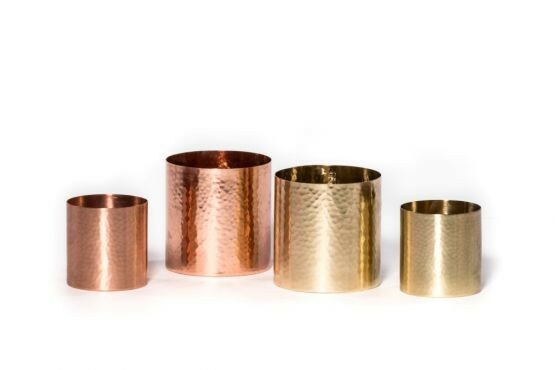 They look good in any interior, whether traditional or contemporary. Available in various sizes, so you can combine them. Dimensions: small Ø8.5 x 8.5 cm, large Ø11.5 x 11.5 cm.